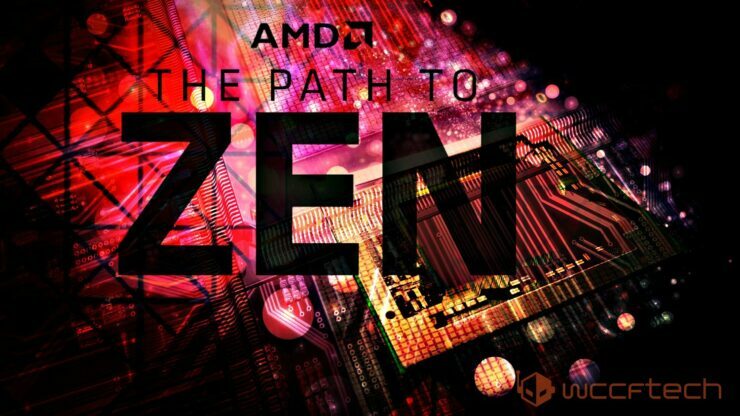 According to a fresh leak, AMD’s upcoming Zen SR7 8 core flagship CPU will allegedly sell for $499 and outperform Intel’s 8 core i7 5960X. 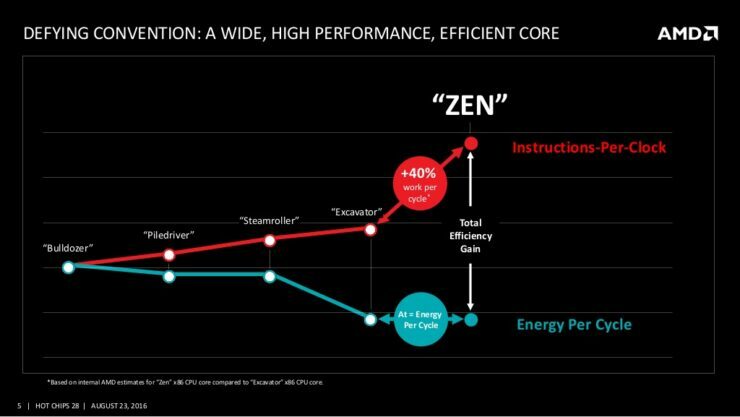 Engineering samples of AMD’s latest Zen revision have been spotted and they feature a 3.2Ghz core clock and a 3.5Ghz turbo frequency. A considerable improvement over the previous revision which ran at more modest 2.8Ghz core & 3.2Ghz turbo clocks. The new chip carries the ID tag “AMD Eng Sample: 1D3201A2M88F3_35/32_N” and is an eight core, 16 thread variant. It’s the highest clocked Zen engineering sample spotted to date. 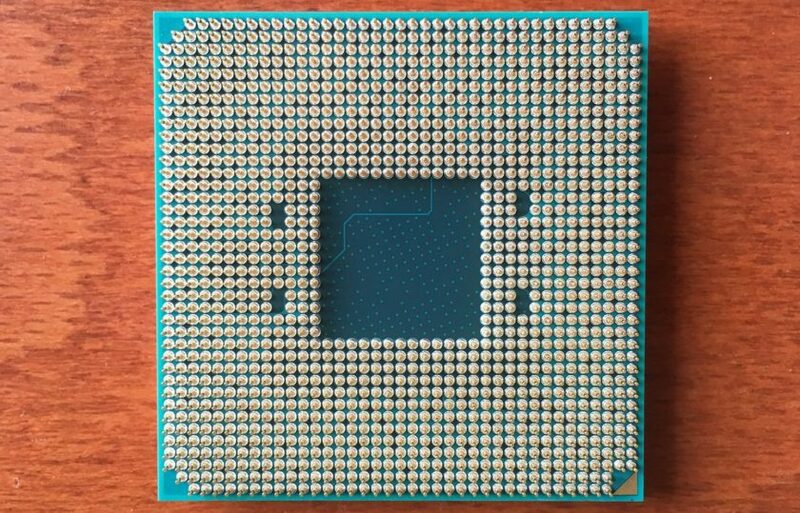 The improvement in clock speeds over the previous revision puts it ahead of Intel’s eight core Haswell-E i7 5960X processor in terms of performance. 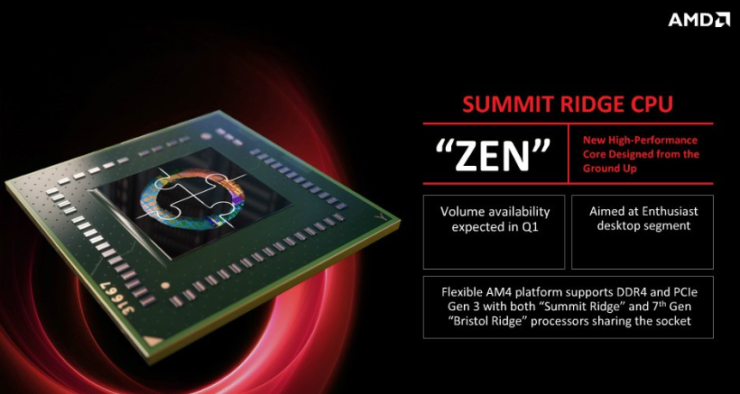 We’ve learned over the past week that AMD is planning to introduce three different Summit Ridge product tiers featuring its latest Zen micro-architecture. The new family will include high-end SR7 parts, midrange SR5 and entry level SR3 products. 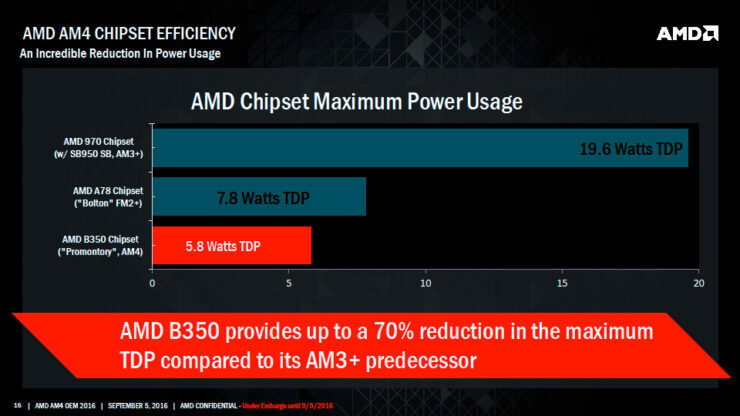 The most powerful of the bunch will launch first in January with SR5 and SR3 CPU SKUs following later in March. According to leaks originating from China, the highest end part will carry a surprisingly restrained MSRP of $499, rather than the $1000+ MSRPs we’ve seen with Intel’s extreme edition i7s. Nevertheless, this $499 part is purported to favorably compete with Intel’s $1199 eight core i7 6900K and $999 i7 5960X CPUs. 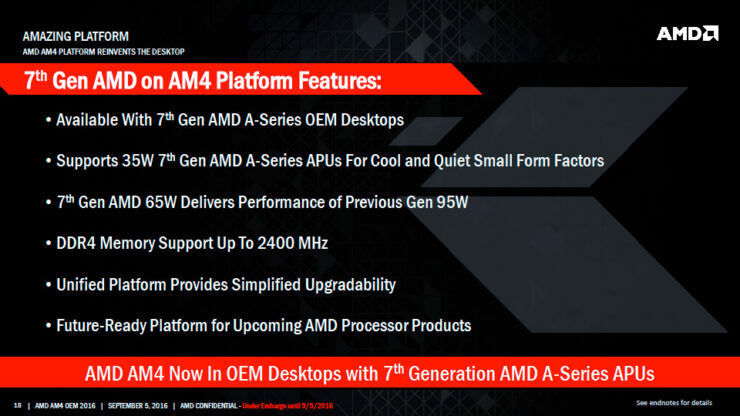 AMD reportedly has another eight core Summit Ridge part coming out at an even more attractive price point. 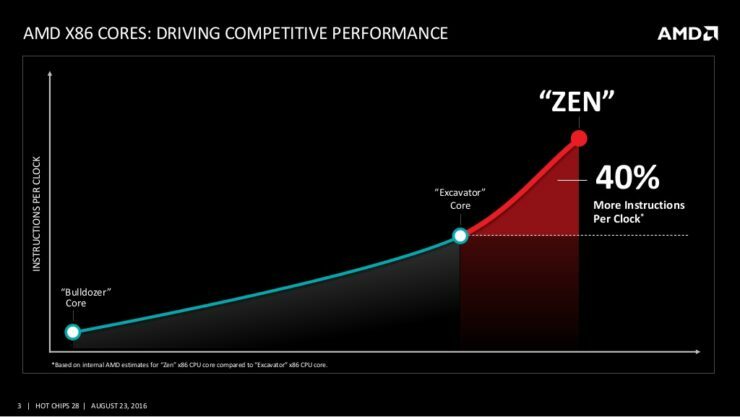 The company is said to offer a $349 eight core SR7 CPU in addition to the $499 flagship. Moving on to the midrange SR5 segment we’ll have a six core part at $249, which is going to be arguably the sweet-spot of the Summit Ridge stack. Although, interestingly, even in the entry level SR3 segment the company is said to be planning to offer a high-end four core, 8 thread parts at an MSRP of around $150. Which if true sounds really incredible, an i7 6700 tier product at i3 pricing. Desktop Summit Ridge Zen CPUs are expected to launch at next year’s Consumer Electronics Show in January. That’s when the official Summit Ridge and X370 motherboard product debuts are expected to take place. High-end X370 AM4 motherboards and Summit Ridge CPUs are expected to be widely available by February. If Zen’s leaked benchmarks are anything to go by we won’t be surprised to see these fly off the shelves as soon as they’re put up. We’ve laid out the feature set of Zen and AMD’s brand new X370 chipset and AM4 platform in detail, all of which you can find here. 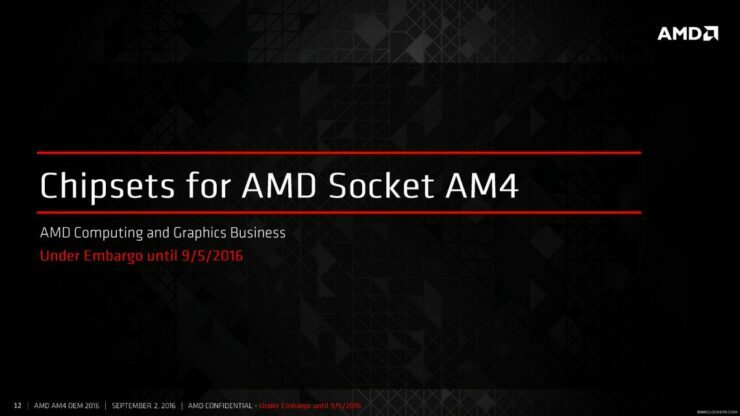 The AM4 socket itself has been pictured and detailed, you can check that out here. 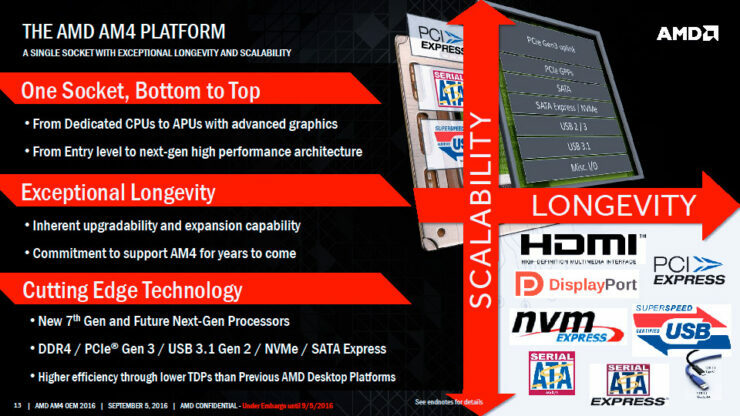 If you’re interested in the Zen microarchitecture itself, we’ve got you covered in our deep-dive architectural break-down based on AMD’s Hotchips presentation & the information released at Zen’s performance demo event. Summit Ridge & Bristol Ridge CPUs & APUs share pin to pin compatibility on the AM4 socket. Giving prospective Bristol Ridge owners a clear upgrade path to the high-end Zen “Summit Ridge” parts. Bristol Ridge APUs have begun shipping to OEMs in September. 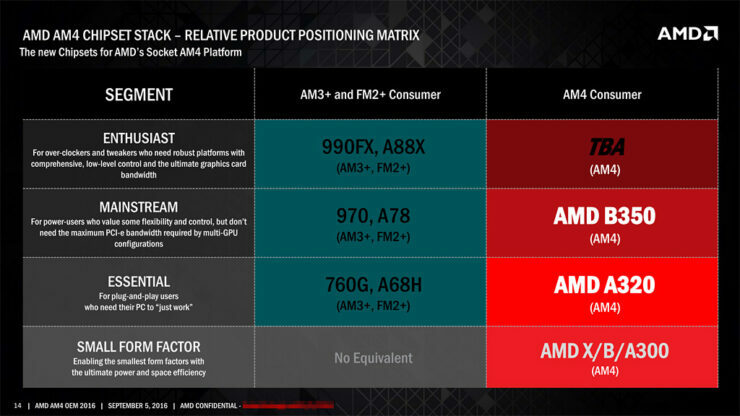 There are three different chipsets for the AM4 socket to serve different areas of the market. The highest end chipset has now been revealed to be the X370. If you’re planning to build a Summit Ridge based build this will likely your best way to go. 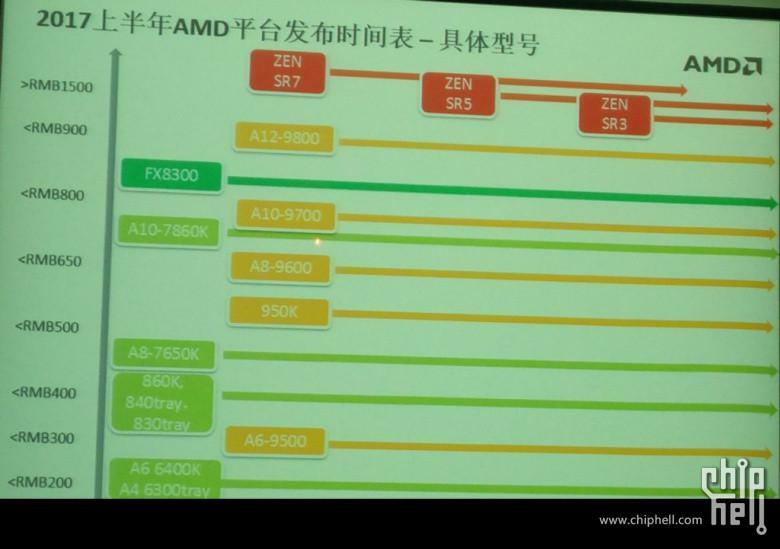 Along with the X370 chipset AM4 will also support two other chipsets for the mid-range and entry level market dubbed “B350” and “A320”. All Zen FX CPUs that are part of the Summit Ridge family will include the company’s new platform security processor, PCIe 3.0 support, dual channel DDR4 memory controllers, copious amounts of L3 cache and updated storage features. Including USB3.1 and NVMe. 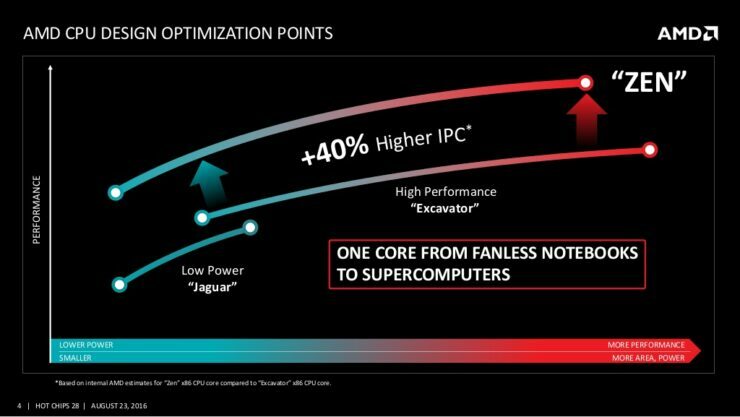 Summit Ridge will include CPUs ranging from 8 cores & 16 threads to 4 cores & 8 threads with 95-65 watts of power.